Curt Keplin looks back on 15 years of experience in the music industry. He started his career in 2000 when he founded and launched the online music fanzine alternativenation.de where he spent several years as the editor in chief and interviewed well-known acts like Radiohead, Modest Mouse and At The Drive-In among others. 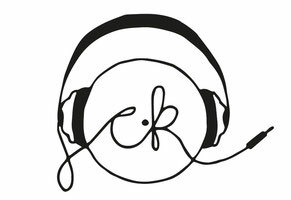 In summer 2003 Curt Keplin began an internship in the Jazz & Catalogue Marketing division of EMI Music in Cologne. His passion for music and desire to get a permanent job in the industry led him to V2 Records in Berlin in November 2004 where he worked as a marketing trainee for 10 months. In September 2005 Curt Keplin accepted a job offer to run V2’s newly founded Label Services Group Cooperative Music as a Label Manager for GSA. Co-Op became a quickly expanding International Music Marketing Network representing artists such as Phoenix, The Black Keys, Bloc Party, The Knife, Peter Bjorn And John, Mumford And Sons, Fleet Foxes, Digitalism, Major Lazer, Two Door Cinema Club and labels such as Glassnote, Bella Union, Wichita, DFA Records, City Slang etc. During his time running the German Co-Op Office Curt Keplin also worked as the Head Of Marketing for the Berliner label City Slang from 2007 to 2012 which released highly critically acclaimed albums by The Arcade Fire, Caribou and Get Well Soon in that period. After the acquisition of Cooperative Music by PIAS in early 2013 Curt Keplin joined Kobalt Label Services where he worked as a Marketing Director GSA for more than 2 years and has been instrumental in successfully completing marketing campaigns for Billy Idol, Lenny Kravitz, Nick Cave, Die Antwoord and The Waterboys.